Ms. Luong is the principal attorney of the Law Offices of Kathy T. Luong, Esq. Throughout the years, Ms. Luong has helped clients in a variety of legal matters, including divorces and child custody/visitation, personal injury, evictions/unlawful detainers, wills & trusts, bankruptcy, and negotiating/drafting contracts. Ms. Luong received her Juris Doctor degree from the University of San Francisco School of Law and her Bachelor of Arts degree from UCLA. Prior to practicing law, Ms. Luong worked at the San Francisco Human Rights Commission and served as a judicial intern to Hon. William Liebmann of the California Superior Court, Ventura County. Ms. Luong is fluent in Vietnamese, having worked as a telephone interpreter for many years. 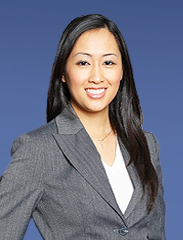 When she is not in court litigating cases, Ms. Luong enjoys traveling, baking, and spending time with her family. Ms. Luong is a member of the Vietnamese American Bar Association of Southern California (VABASC).